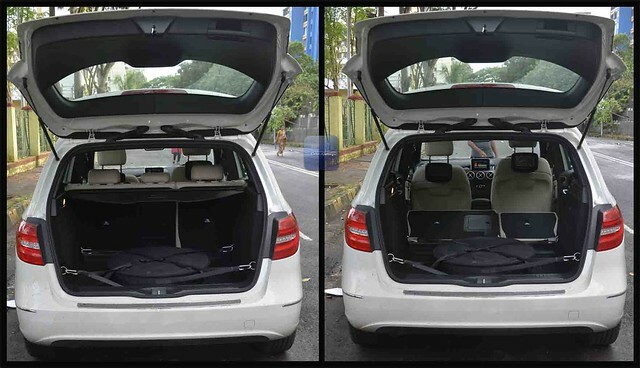 The Mercedes-Benz B-Class was the first luxury hatchback to enter India and initially came with a petrol powertrain. It sold decent numbers but Mercedes-Benz had a plan in place to boost those numbers. 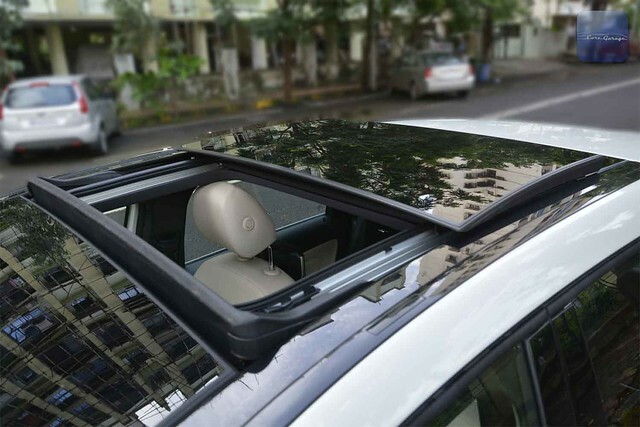 The company introduced the diesel version and sales rocketed sky-high. Together with its flamboyant cousin the A-Class, the siblings now account for nearly 20% of the total Mercedes-Benz sales in India. 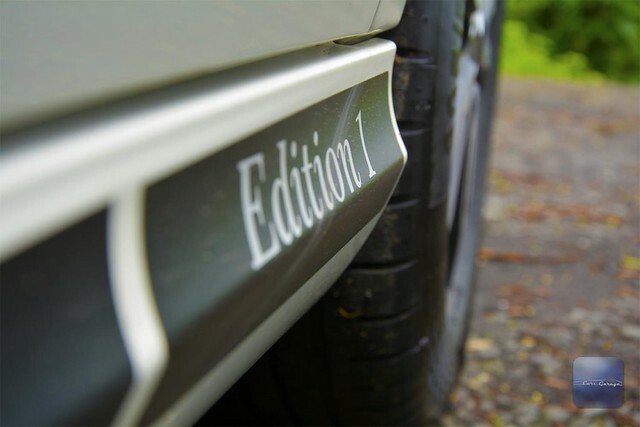 To celebrate this success the company launched special editions of both the cars, which are called the “Edition 1” available only in diesel and in a limited quantity of 100 units each. 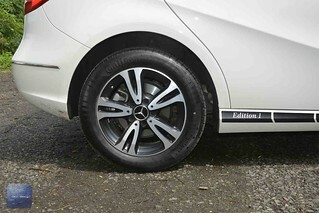 The B-Class Edition 1 features some cosmetic changes to distinguish it from the standard car. The car gets a black strip on the side skirts with the ‘Edition 1’ mark, the rear view mirror housing is finished in high gloss black and the 16-inch alloy wheels now feature with a new 5-twin-spoke design. 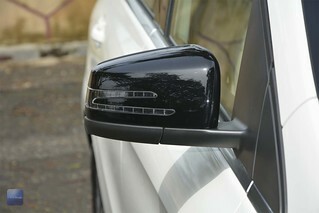 The Jupiter Red exterior shade which was earlier available only on the A-Class can now be ordered with the B-Class too. Now the B 180 CDI was always poorly equipped as compared to its petrol sibling, but the Edition 1 has features similar to the ones found in the petrol. The B-Class Edition 1 gets an electrically adjustable passenger seat with 2 memory presets, panoramic sunroof and a reverse camera. Reverse Parking sensors are still not available on the car. The rear bench of the car also gets some attention. 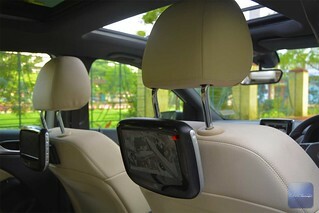 It now features a centre arm-rest and the rear passengers are pampered with 2 tiltable 7-inch screens fitted to the rear of the front seat headrest. 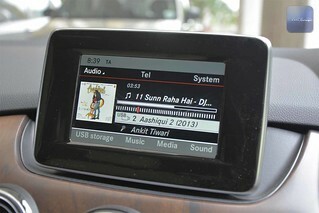 The passengers can watch videos on the screen as well as control the audio functions. Two infrared headphones and a remote control also form part of the package. 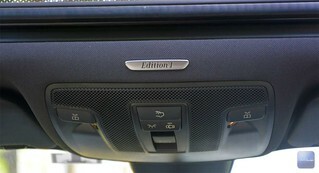 The interior also gets an ‘Edition 1’ badge just above the inside rear view mirror in the car. The beige and black interior combination remains unchanged. The B-Class Edition 1 gets the same 2.2-litre diesel engine as found in the standard diesel car. It produces 107-bhp and 250-Nm of torque. Power is transmitted to the front wheels via a 7-speed dual-clutch automatic transmission. The car is fitted with paddle shifters, and has three modes; Eco, Sport and Manual. The car will upshift automatically even in Manual mode if you rev the engine too high. The car can sprint from 0-100 km/h in 10.7 seconds and the top-speed of the car is 190 km/h. Mercedes-Benz has tinkered with the suspension of the car. It has raised the setup by a few millimetres and the springs also seem a tad softer. The B-Class had a problem of scraping the underbody of the car over speed-breakers or bad roads, but it was rare unlike the stiffly sprung A-Class which used to bottom out occasionally. The raised suspension is a boon especially in the monsoons when the roads seem to totally disappear. We tested the car on the worst kind of roads Mumbai has to offer and we can tell you that the reworked suspension works wonderfully and you don’t have to worry about scraping the underbody anymore. The raised suspension has not affected the high speed ride quality and handling of the car in any way and the low speed ride quality has improved dramatically. The car comes equipped with 7 airbags, ABS+EBD, ESP, Traction Control, Attention Assist, Hill Start Assist and Tyre Pressure Loss Warning Indicator as standard. Mercedes-Benz doesn’t skimp on safety features in any of its cars. 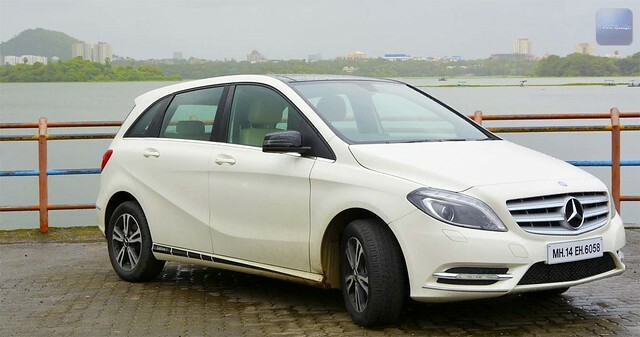 All the new features have added to the price significantly and the B-Class Edition 1 costs Rs.28.75 lakhs (ex-showroom, Mumbai), an increase of Rs.6.15 lakhs over the standard car. Mercedes-Benz made available only 100 units of the car and they must have been sold out by now. But all the features found in the Edition 1 will eventually find its way on the standard diesel car in the coming months. The B-Class will always appeal to the buyer with a family. The car now rides better, is better equipped at the rear to keep the kids entertained and the boot is spacious enough to swallow some luggage.